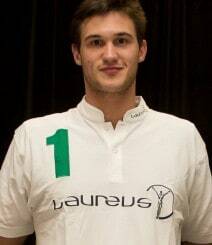 An Italian professional basketball player, currently playing for the LA Clippers, Danilo Gallinari was picked sixth overall in the 2008 NBA Draft. He was selected to the Sophomores team in the 2010 T-Mobile Rookie Challenge at NBA All-Star weekend in Dallas. He participated in the 2010 Foot Locker Three-Point Contest at All-Star weekend in Dallas, finishing fourth. Active in the community, he participated in the NBA’s Basketball Without Borders goodwill tour to Senegal, Africa, in August 2010.